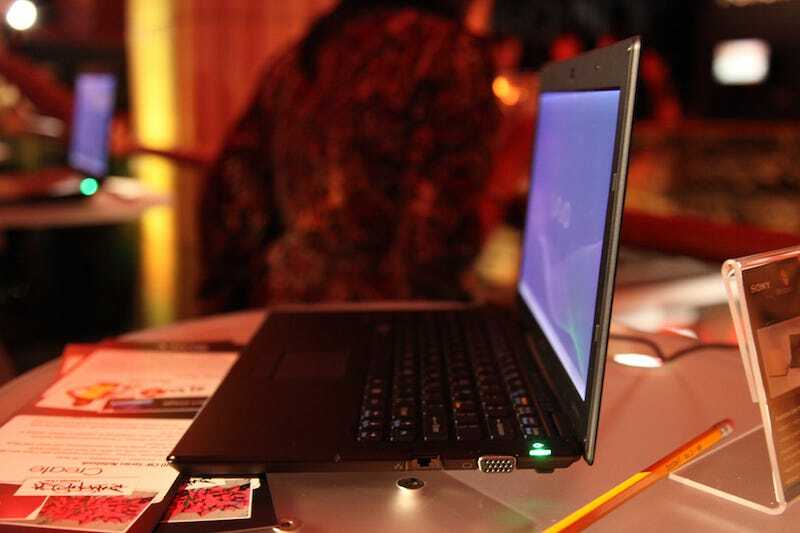 How light is Sony's carbon-fiber X Series, the "lightest notebook in the world"? It feels fake, like a trick. That's in part, because it is a trick, since it has netbook guts and Sony's asking you to pay $1300 for it. But, in your hand, it makes you question how skinny is too skinny, how much weightlessness (1.6 pounds of it, to be precise) is an asset before it approaches nothingness. (The fatty VGA port very nearly destroys the illusion, though.) The effect, still, is remarkable, at least at first touch. Sturdiness? It borders on feeling fragile, but never quite crosses that line. When you try to bend it, you definitely feel like there's a breaking point that won't require a ton of additional force on your part. Considering it's a got 2GHz Atom chip, notching it a 2.4 Windows system rating on the one I messed with, it moved pretty decently, more nimbly than I'd have expected, even with Windows Media Center. This is mostly because of Windows 7 I suspect—with Vista it probably would've been tortuous. Knowing that it's running Atom inside, when it's wrapped in feats of material and sensory goodness, definitely creates a sense of ambiguity, like Sony's repeating the Vaio P all over again. Like it's special effects. Except that it seems like it sorta kinda works this time, which is the actually weird part.